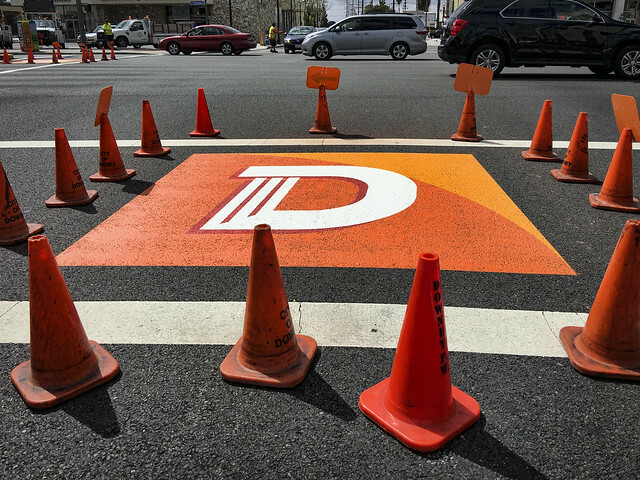 As part of Downey's celebration of 60 years of incorporation, the intersection at Downey Avenue and Firestone Boulevard got a facelift this weekend. All four crosswalks now sport the big D that is Downey's logo. This is just one of many ways, big and small, that Downey is celebrating this anniversary. Just wondering if Downey has extra money, they should give to the schools! I was living there when Downey incorporated!